We Are Makers, Not Middlemen. We don’t import mass-produced furniture. We build solid-wood furniture to your exact specifications using sustainably harvested lumber from the Appalachian Forest. We live near the geo-center of this growing forest and practice our craft in an oversized workshop filled with cutting-edge woodworking equipment. 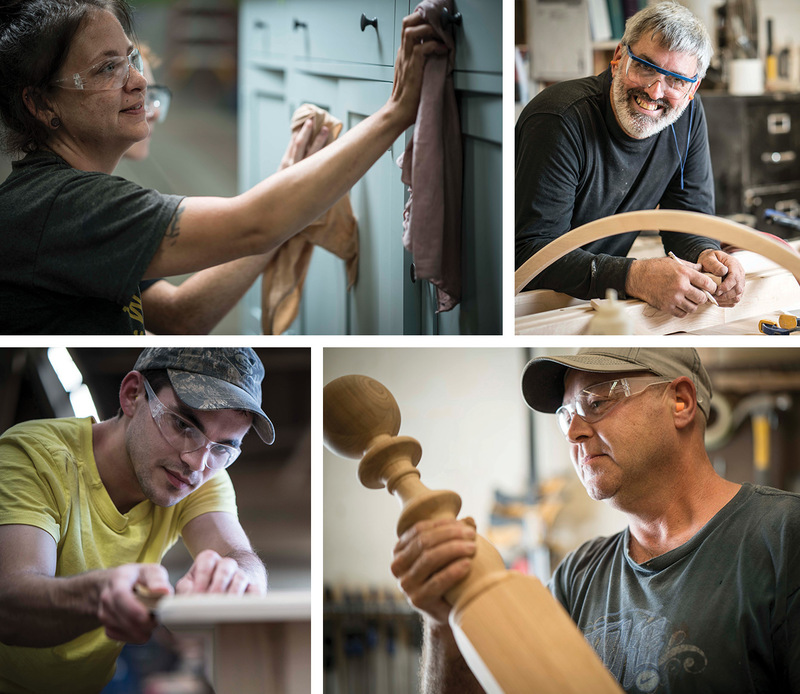 Each piece of Gat Creek furniture is signed and dated by the artisan who builds it and then handfinished in a careful board-by-board process to bring out its natural beauty. We take pride both in what we create and how we create it. Click here to take a Gat Creek factory tour! A Man, a Truck, and Some Furniture. Our company’s story starts with a man named Tom Seely. After serving in the U.S. Army Air Corps during WWII, Tom returned home to open an antique shop in Baltimore in 1946. The business took Tom to estate sales in the country to buy furniture for resale in the city. Eventually, as the business grew, it was named Tom Seely Furniture. In the mid-1950s, marriage brought Tom to Berkeley Springs, West Virginia. He opened a small workshop to restore, repair and refinish furniture. Ten years later, demand for antique furniture was outstripping supply and Tom expanded his enterprise to manufacture careful reproductions of the best designed antique furniture he had encountered. In an essay submitted with his application to business school, Gat Caperton expressed his interest in an education that would prepare him to own and operate a manufacturing business in his native state of West Virginia. In 1996, the 29-year old business school graduate realized his ambition when he bought Tom Seely Furniture. The company Gat acquired learned how to build furniture, not by simply imitating typical factory production, but by studying the work of the masters. An essential part of quality furniture construction is joining two pieces of wood together. And since wood is a living thing, expanding and contracting with ambient conditions, great joinery is fundamental to building great furniture. A reverence for superior joinery continues in the factory to this day. Gat Creek manufactures solid-wood dining room, bedroom and living room furniture in our own shop and through domestic partners. All of the finishing, final inspection and packaging work is completed in our Berkeley Springs facility. Our design aesthetic takes a contemporary simplified approach to traditional furniture forms. 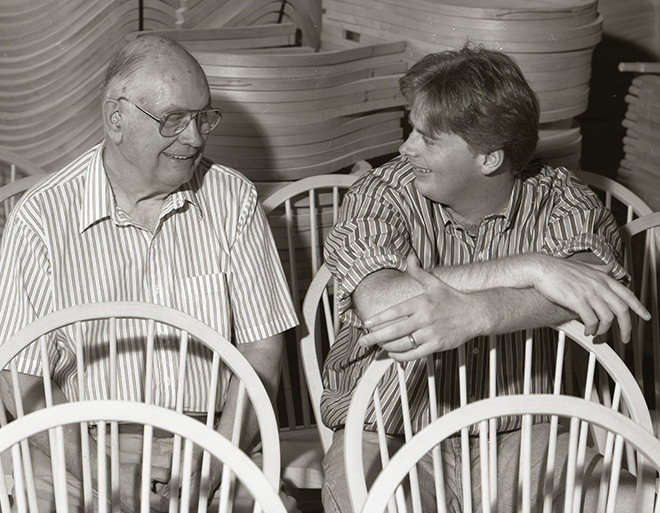 In the 2000s, as other U.S.-based furniture brands moved their furniture manufacturing to subcontractors in Asia, Gat Creek responded by investing in its West Virginia factory and operations to constantly improve productivity, quality and choice. Instead of building big batches of products to sell to the masses, Gat Creek takes a more personal approach making furniture to order, specifically for you, from a selection of over 400 designs in a wide range of wood tone and paint finishes.